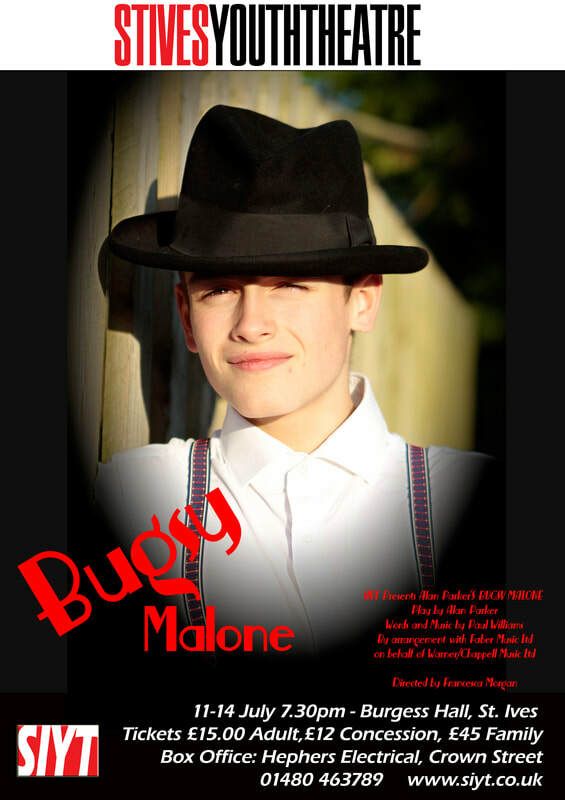 "A slapstick musical comedy, Bugsy Malone follows the rivalry between two half-witted street gangs and the washed up, well-intentioned, one-time boxer who steps in to take control of Fat Sam's gang and give Dandy Dan and his boys what they've got coming. In this film noir spoof, the message is one of good, clean fun; the characters are wonderful cartoon cutouts; and the weapons of choice are "splurge" whip cream guns, flour bombs, and custard pies." ​Please note, you do not require a PayPal account to purchase tickets for our production. NOTE: TICKETS WILL NOT BE POSTED - Please present your proof of payment (payment receipt) at the door on the night.